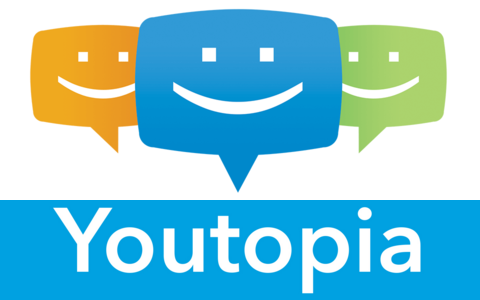 Welcome to Youtopia, Your Utopia for Casual Gaming and Friendly People! Feel free to visit and hang out as often as you like! The Forums Banner has been replaced with one to represent TESO. The message beneath it has also been updated to reflect Youtopia housing PWN. The ticker information on the site has been updated to reflect the rebirth and its new features. Due to complications with background images on the site the black and white backgrounds will be retained and no actual background images will be added. Plans to add background images may change later but there are none at this time. Chatango will remain for those using mobile in the Chats page. Both black and white pages will each have a Legacy and HTML5 chat box. HTML5 cannot be hidden so no option to do so will be there. Youtopian will also return, ready to tell many tales of lore from Tamriel! The Apps page has been replaced with a Guides index for various Game Guides for TESO. These Guides are subject to updating as need be and more can be added as seen fit! A Guide for Custom Items and Special Moves in Super Smash Bros 3DS/Wii U is also in the works! The Forums have been clipped considerably and now have less sections than before. This should remedy some confusion for those not keen on forum use! Also all threads except for the Rules in their respective sections (and my Anime List because I use that to keep track of what I've watched lol), the disclaimers global thread, and the threads to summarize each section that need one have been deleted to reflect Youtopia being reborn and to leave the past behind. Please welcome users KiranaJuarez and physicalwall into our admin staff! They have been promoted to administrators to reflect their roles in the guild. Congrats! The Chat Rules have been loosened a bit. Please keep everything modest though. Guild Members and visitors to the site are now depicted by seperate roles. Visitors are Youtopian rank and Guild Members are Member rank. Those that have member status in the Xat will be reverted back to guest status to reflect the above statement. Nothing personal or bad, just some fine tuning. Guild Officers will be made Moderators in the Chats and Forums when we have some. Expect there to be some once the guild grows enough! Well I think that'll about cover it. I will update this thread once these changes are complete to reflect that they are. See you all around as Youtopia comes back to life! Conspiracies... They're out to get me!